I grew up in a suburb of Philadelphia where there were many families that shared very similar economic backgrounds and views. Dickinson was really my first introduction to a diverse group of people from all over the country and the world. While at Dickinson, I had many of the ideas and beliefs with which I’d been raised challenged, and I grew as a person. The Walt Disney Company is much like Dickinson, but on a much larger scale. Walt Disney World alone boasts 70,000 cast members from many countries around the world, from many backgrounds, with different beliefs and aspirations. My growth at Dickinson helped me to approach those differences with acceptance and appreciation and helped me to embrace the diversity of the Walt Disney Company, as I had to learn to embrace the diversity of Dickinson. I loved founding the Dickinson Quidditch Team. It was amazing going through the process of raising a new program from nothing: petitioning Student Senate, raising funds, recruiting team members, building equipment and networking with other teams. Now, I still look back at the Facebook page, and I’m so proud to see those members who were recruited as first-year students leading the charge and building on what my co-founder and I were able to start. That would definitely be Wing Nights with the Dickinson Department of Archaeology. Being able to take over the back room of the North Hanover Grille and getting to invite our professors and interact with them on a personal level was a great way to bond as a department and form relationships that lasted beyond Dickinson. One of the people who I met at a Wing Night is now one of my good friends here at Disney! How do you stay involved with Dickinson? Why do you think it’s important? I like to check in with the school’s website and talk with my friends who are still at Dickinson. The way any college grows is by maintaining a strong network of alumni. It helped me get my job, and I frequently talk to current Dickinson students interested in the Walt Disney Company. I first learned about the Walt Disney Company and the Disney College Program through a fellow Dickinsonian, Danielle Kelly ’12. 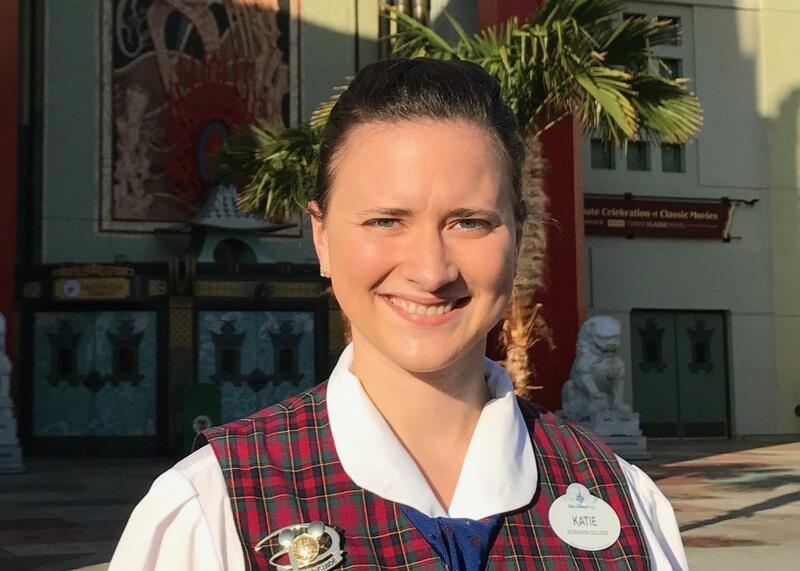 With her help, I was accepted, and since joining the company, I’ve had a great many roles, including being on the opening team of Walt Disney World’s transformative MyMagic+. Whenever I look for a new role, I always look for roles that allow me to interact with the guests of Walt Disney World on a personal basis. My most exciting role has by far been a VIP tour guide with Disney Special Activities. It’s exciting to be able to take our guests around the parks and “show off” a little. I’m proud of what we do at Walt Disney World, and the best part of the job is always “making magic” for our guests. Currently, I am with FriendShips, providing watercraft transportation service between Disney's Hollywood Studios, EPCOT and the EPCOT area resorts. I am also a VIP tour guide with Disney Special Activities, where I serve as a personal guide for guests and celebrities of the Walt Disney World resort. Always keeping a smile. Although we try our best, there are still some “un-magical” times, whether it’s raining, a ride is shut down for technical issues or even a guest has just had a difficult time and is frustrated. I won’t say I’ve never been yelled at because then my nose would grow like Pinocchio’s, but a Disney cast member always smiles and, more importantly, has the power to turn any situation around. Guest recovery is something that doesn’t come easy to many cast members, but when they succeed, that’s when the true magic happens. Without a doubt, it would be getting to serve as a VIP tour guide for Star Wars Galactic Nights. I am a huge Star Wars fanatic, and I was in heaven all night, surrounded by the stars of Star Wars and even getting to ride the special Star Wars-themed Rock n’ Roller Coaster. It was one of the coolest nights of my life, and I couldn’t stop grinning the whole time. Walt Disney, of course! Walt never got to see his vision of Walt Disney World realized. I’d want to ask him what he thought of the resort now, what his plans would’ve been. Could he have imagined it would become what it is today, that his Mickey Mouse could be recognized by so many around the world? I would go into the future. Everyday I’m excited by some of the technology we are creating and what scientists and engineers around the world are striving to achieve. SpaceX wants to create a colony on Mars, and that’s just the tip of the iceberg. I would love to see what our future descendants could dream up. These days, not even the sky is the limit. I would love to have gotten into scriptwriting and film production. Being surrounded by the worlds the Disney Imagineers cook up, I would love to be part of it, providing my own ideas and fantasies.